Cauldron or posnet vessel leg. The leg is ribbed with a well-defined collar and a hoof foot. The object is triangular in section. 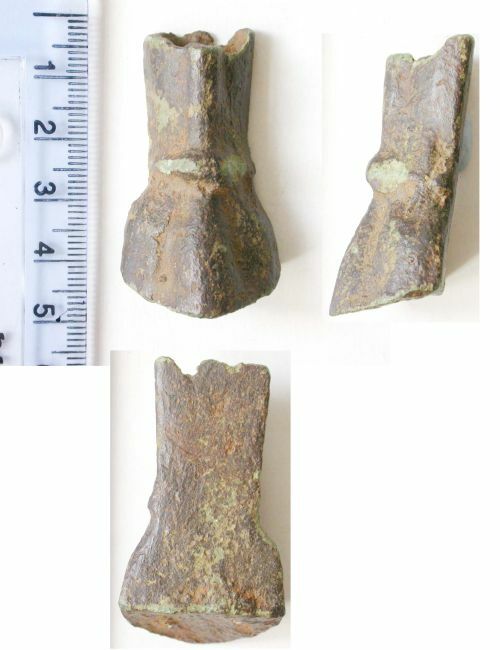 Posnet or cauldron leg of bronze. The object is triangular in section with a well-defined collar and widely-ribbed hoof foot.